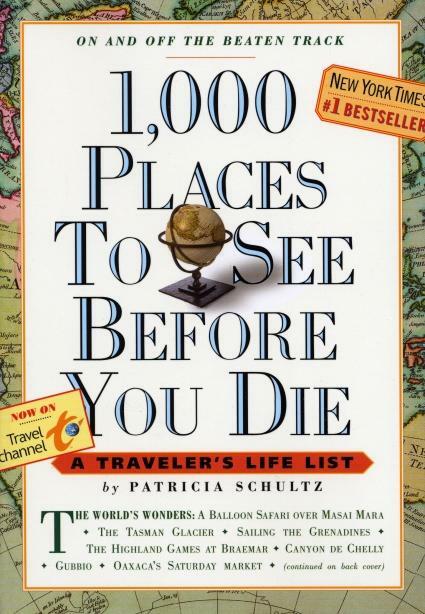 A dear friend and an equally passionate traveller gave me an excellent travel guide to me as an advance birthday gift – 1,000 Places To See Before You Die by Patricia Schultz. Thank you, thank you Steng! I had long wanted to buy this since I came back to the Philippines; it’s a pleasant surprise indeed that you gave this to me. Makes it more valuable and of course forces me to actually use this. I hope I will manage to visit up to 500 place listed in the book - only 50% is my goal. And for each place in the book I shall endeavour to write next to it the exact date of my visit (for those places I already seen in the past, just the month and/or year).Yes I too wish you’ll be with us in one of our future travels. Brazil in 2016, right? Curious of what Ms. Schultz listed as the places that must be seen in the Philippines? Well there are actually three beautiful places featured in the book (enumerated below). P.S. 1,000 Places To See Before You Die is available in National Bookstore, Powerbooks and Fully-Booked nationwide.